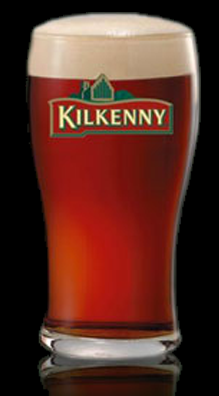 The Smithwick's Kilkenny originates in 1710, in the Irish town of Kilkenny. The present name was given between 1980 and 1990, driven by the Smithwick's most searched word, as its pronunciation is difficult. The Kilkenny Irish Cream Ale is a typical red with a strong, tart taste, with some hints of toasted bread, and a Guinness-like dense foam head. Alcohol content is 4.3%. Consumption of the ales at of 6-18 ° C is recommended by aficionados, since the characteristic taste and smell of caramel and toast notes are only really enjoyable in that range.